As you may have noticed the Miss Myers blog has been a little neglected in 2015. I have not had the best start to the year, as some of you are aware. I have been really rather unwell. There were even a couple of weeks in January of the when I lost all desire to do cruel things to testicles, which gives you some indication of the gravity of the situation! However, I am now very much on the mend and am increasingly feeling in the mood to rant about all sorts of things. Particularly the travesty which is 50 Shades of Grey the film . I am going to see this on Wednesday (for research purposes only of course!). Once I have recovered from the trauma I am sure I shall share my thoughts. 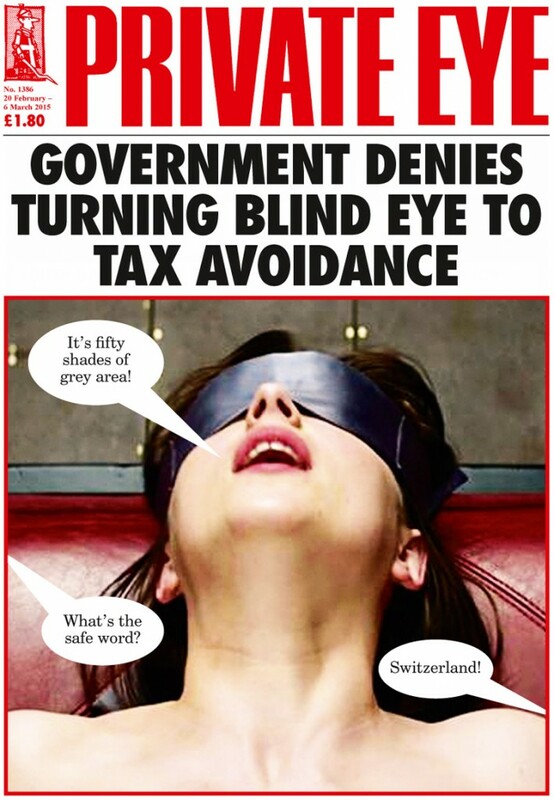 However for now I would like to share with the latest Private Eye cover which made me chuckle. This entry was posted in Uncategorized on March 2, 2015 by Miss Myers. Welcome back! It’s great to hear that you are on the mend and I’m sure we all wish you well and that you’ll soon be back and terrorising the male population of North London.